Russia, 1914. Rivka, daughter of a prosperous boot maker, seems destined by tradition for marriage and the humdrum rounds of shtetl life. Then war breaks out, and things go badly for the tsar’s army. When demoralized troops begin deserting their posts in the trenches, one unlikely officer recruits a battalion of girls to set an example for the men. Rivka seizes upon this chance for adventure as her once-in-a-lifetime opportunity to do something great in the world. She signs on, never suspecting the terrors that await her, or the trials that will test her, or the mishaps that will take her from the frozen steppes of Siberia to the hot, dusty hills of Palestine. 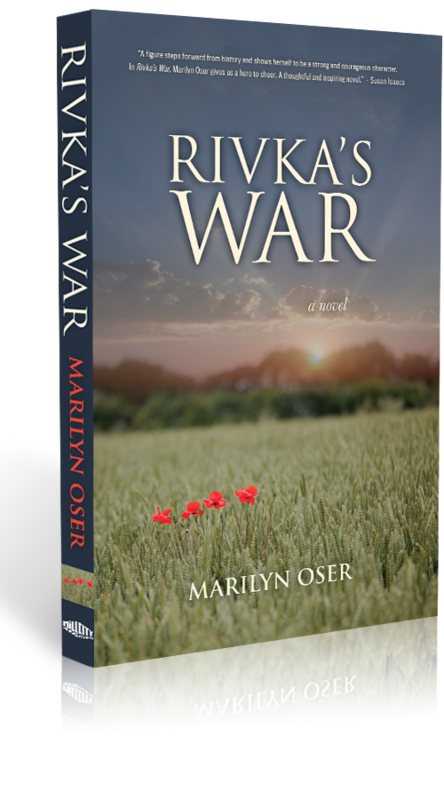 Based on actual events, Rivka’s War is a riveting tale of loss and survival. In vivid detail, it portrays the impact of the Great War on Jewish life, re-creating a vanished world. I requested to read and review “Rivka’s War” from the publisher because of my interest in World War I and Eastern Europe. Rivka is a young Jewish woman living in Russia during World War I. Russia is undergoing its messy Revolution, with Tsarist and Communist Governments laying claim to the country. Being Jewish complicates matters as does the changing battle line. Rivka joins the army against all warnings and begins her complicated journey through Europe and Asia. The book has an amazing story to tell and covers a huge amount of historic details and lesser known facts. Oser has given the times an authentic and realistic feel, backed up with meticulous research and knowledge, a great sense for the time and its people. I have read and researched the history of that period myself and am impressed with Oser’s results. Army life for women, the opposing forces in revolutionary Russia, the tough choices for anyone in the border territories but especially the Jewish people and the last parts about Palestine were incredibly informative and enjoyable. People forget how long before Hitler and World War II Jews have been subjected to persecution and random acts of violence, the long tradition of pogroms in Russia and Oser tops it all with several details about the British interest in Palestine and the Middle East. The book is well written and kept my interest easily. The many new directions and locations the author took me to made this a very rich reading experience. Please tell us a bit about yourself and how you have come to be a writer. Is Rivka’s War your first book? It seems to me I’ve always wanted to write, though there were long periods in my life when I failed to recognize that pressure inside me as the need to do so. There were other needs—food, clothing, shelter—that kept me from indulging in fiction, though I’ve spent my working life engaged with words and story as a teacher and a grant writer. Rivka’s War is my second novel to see the light of day; there are a couple of others in the drawer, one which ought to stay there, and one which ought to come out. Playing for Keeps, my first novel, was written with a partner, Mary Lou Kallman, with whom I also wrote some non-fiction. What inspired you to write this story? Why are you so fascinated by World War I? This book had its kernel years ago, when I was in high school; it came out of conversations with my parents. My mother, when I tried to condemn her for not having taken in a child or in some other way worked to mitigate the Holocaust, was bewildered by my attack. “But there were always pogroms,” she said. Her family had escaped from Russia after the Bolshevik Revolution, at the time of the Russian civil war. Her remark about pogroms haunted me, and writing this novel has been a way of understanding it. As for my father, his recommendation that I write a term paper on Georges Clemenceau was the catalyst that set off my lifelong fascination with the First World War. I’ve been reading about it ever since. A few years ago, I discovered Maria Bochkareva’s autobiography, Yashka – [Yashka was the officer who formed the all-female battalion] – and the novel began to grow. . Your characters cover a lot of territory, from Siberia to Palestine, did you know the story would go in this direction in advance or did it come to you as you were writing? I set out to write a short story about the eastern front, and when I got to a hundred pages realized that the story was going to go in directions I hadn’t foreseen. Have you been to Russia or Palestine? I’ve visited Israel three times, touring all parts of the country and volunteering in the schools. I have been to Russia once, when I visited St. Petersburg and Moscow. I would like very much to go to Ukraine and visit Kiev and Odessa. Somewhere near Kiev, my family’s silver was buried in a yard that has probably been paved over by now. There’s a short story on my website about it. I’ve been reading about World War One for so long that it’s part of my consciousness. Specifically, for this book, I’ve relied on Yashka, My Life as a Peasant, Exile and Soldier, Ansky’s The Enemy at His Pleasure, Martin Gilbert’s history and maps, and a host of other journalists, historians, cartographers and memoirists. I have a large collection of books at home, an excellent library near me, and access to the Internet, with its vast resources. The problem often is not how to do the research, but how to stop doing the research and get on with the writing. What was the best and the worst about writing the book? The hardest is always getting that first draft down on paper. I find each successive draft more fun. When I get to the stage of blackballing individual words that are perfectly serviceable, but not quite just right, I’m having the time of my life. How long did it take you and how many rewrites did it take? About two and a half years. Four major rewrites, with lots of tinkering in between. I write at home, longhand. I have a study where I gather research materials, but I often choose the living room couch or some comfortable chair. If I’m having a particularly bad time trying to concentrate, I go to the library and sit in one of the quiet study rooms, so that I’ll have no distractions. How do you edit and quality control your books? I want them to be perfect, so it’s endless. How did you come up with the characters? I understand some of them are based on real people? Many of the characters—politicians, generals, soldiers—are based on real people, and wherever possible, I’ve used their own words. Rivka and her family come out of my imagination. My website lists which characters are based on real people. Did you have any other people in mind when you wrote them, e.g. family or film stars? Yashka’s personality, as I read it, reminded me of someone I knew. Upon first meeting, I was beguiled by that person’s charm and vitality. She was larger than life, and I found myself prepared to sacrifice some part of myself for her and her cause–a charitable cause that I cared about. I remained in thrall to her for longer than seems possible to me now, because she was the most infuriating mix of solipsism and kindness. No idea. Whaddya say we leave the choices to Steve Spielberg? What would you say is the central message of your book, or your main reason to tell this story? I think you’ve captured those very well in your review, which is one reason I like it so much. Do you think Russia has become a more tolerant place in the last century? Has the world as a whole? I do not. I think the propensity for human beings to go dangerously awry is always there. I’m amazed when things turn out for the best, as sometimes they do. That’s my head talking. My heart is always hopeful, nonetheless. Who are you favourite authors/ influences/ favourite books? What is your next project and where would we be able to find out about it? I’m working on a book set on the Western Front. It still has quite a way to go before publication. Watch my website for further information. What else would you like us to know about yourself and the book? World War I is little known or understood in the United States. Yet it was a disastrous war, ending in a disastrous peace, the consequences of which are still being felt today. War is by its nature lawless, and anyone involved in it is always hemmed in by chaos. As individuals and societies, we quickly forget what war is like when it’s far away in time or distance, when we are not directly touched by it. We forget the havoc we cause to others, and to ourselves. We wonder what war—any war—is about. But once it starts, it’s about itself. It’s about winning. We need to be aware of war’s horrors before we go off in a blaze of patriotism. I think fiction helps us do that. I write a blog at streetsofisrael.wordpress.com. Weekly posts reveal the people behind the street names in Tel Aviv, Jerusalem, and elsewhere. My biography can be found there, along with a peek into Rivka’s War, a short story, book club questions for Rivka’s War and contact information. Marilyn Oser lives in New York’s Hudson Valley and on Long Island. A Ph.D. in language and literature, she has taught English and history and has raised funds for arts, environmental and community organizations. 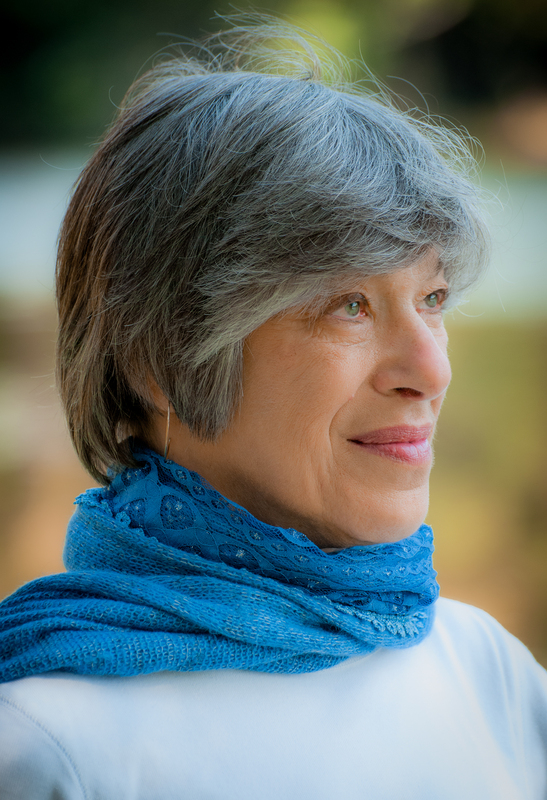 Author of the novel Playing for Keeps and the blog Streets of Israel, she is a recipient of the University of Michigan’s coveted Avery Hopwood Prize for excellence in writing. What an inspirational story. Thank you for sharing this with us. This sounds like a riveting tale. I didn’t know about the girls’ battalion and look forward to reading about it. Lovely review, Christoph, and interview, Marilyn. Thanks for posting this. it is riveting and I am sure you will love it. I don’t know if I can add one more book to the toppling pile on the bedside table, but maybe I can fit this one on the kindle. Nice review.